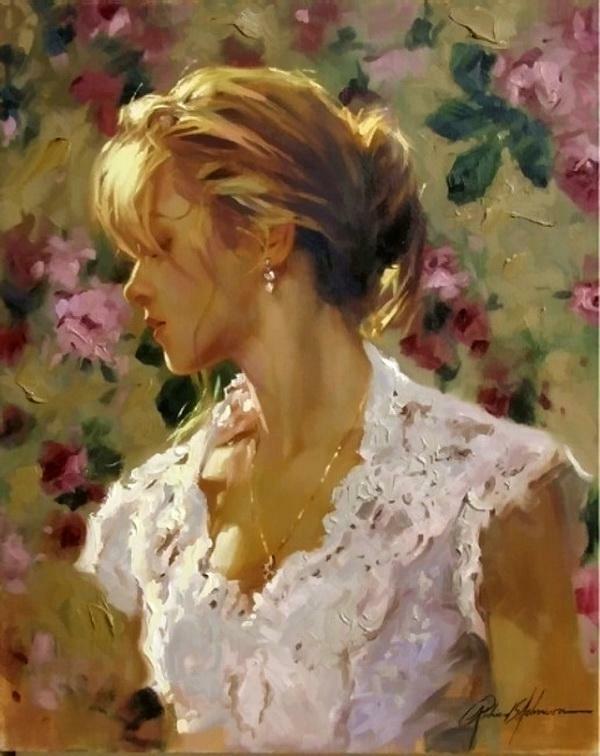 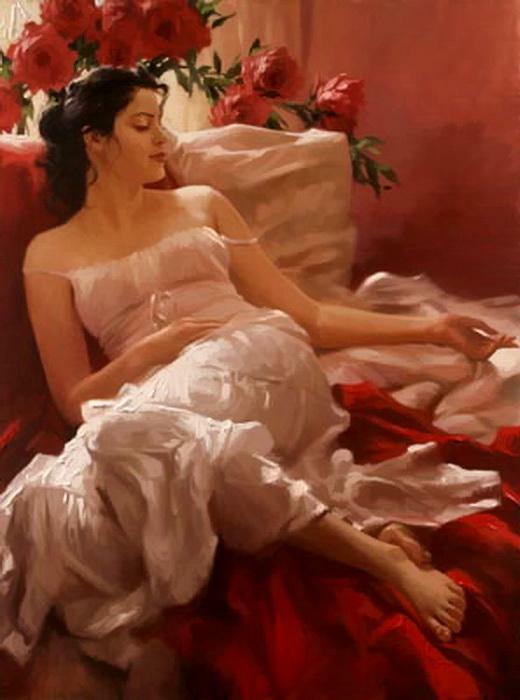 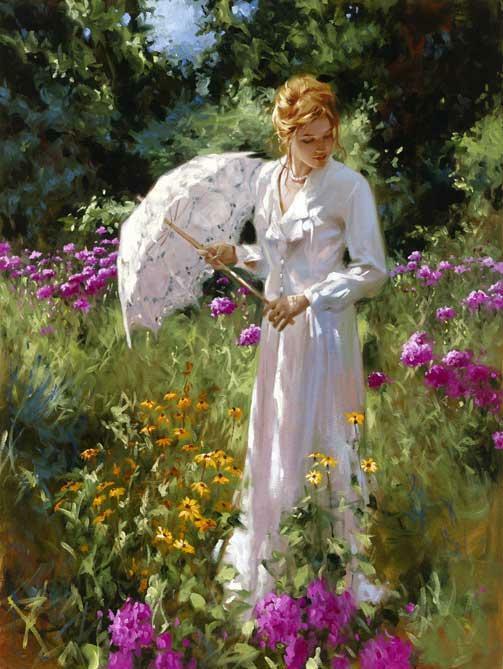 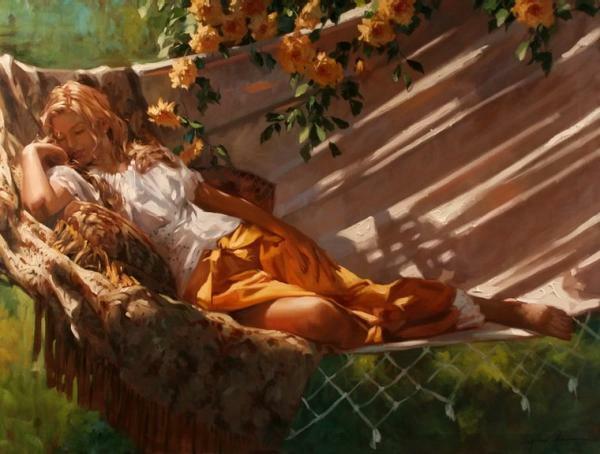 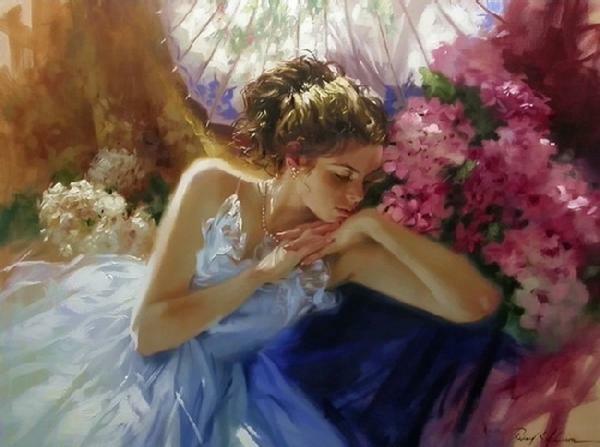 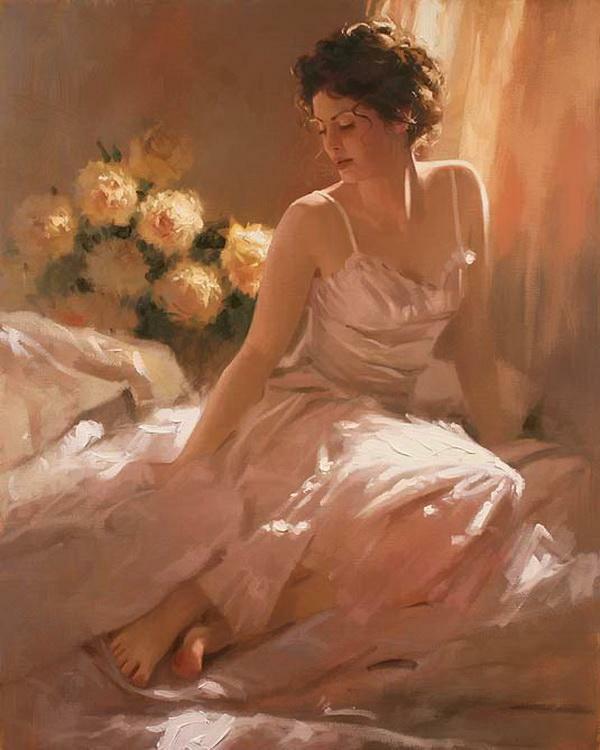 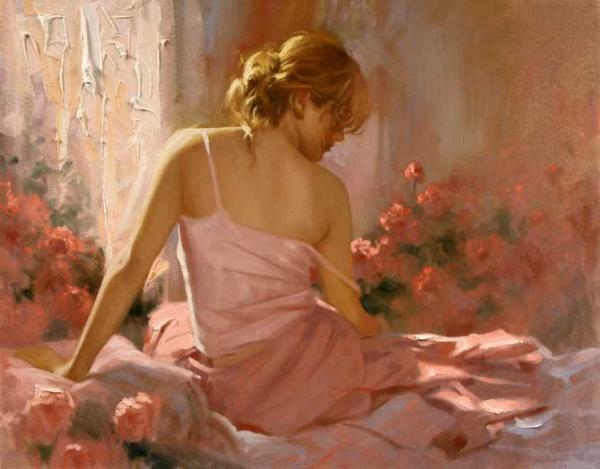 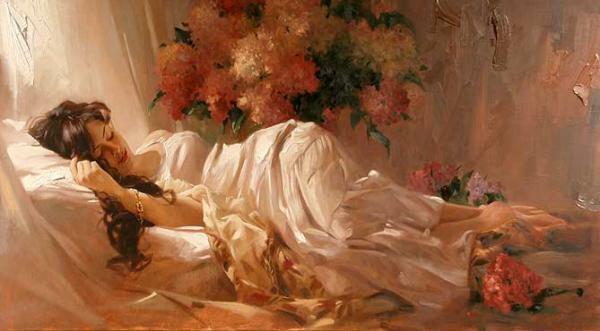 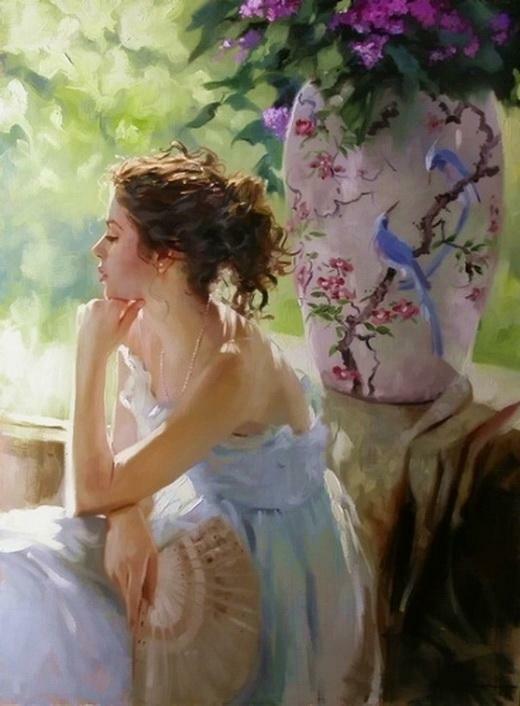 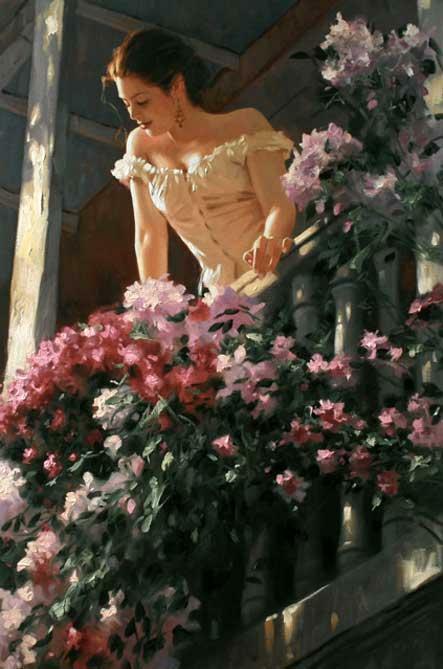 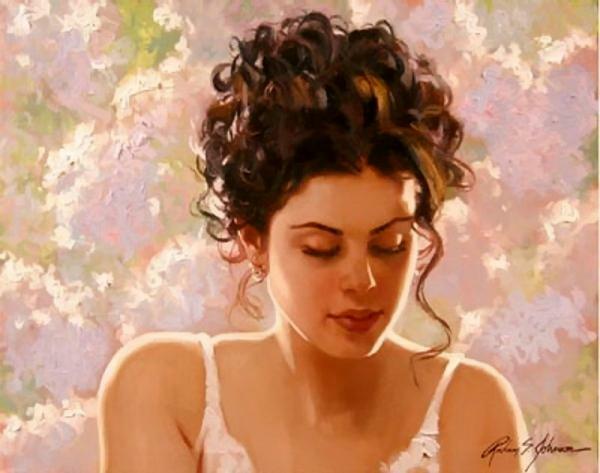 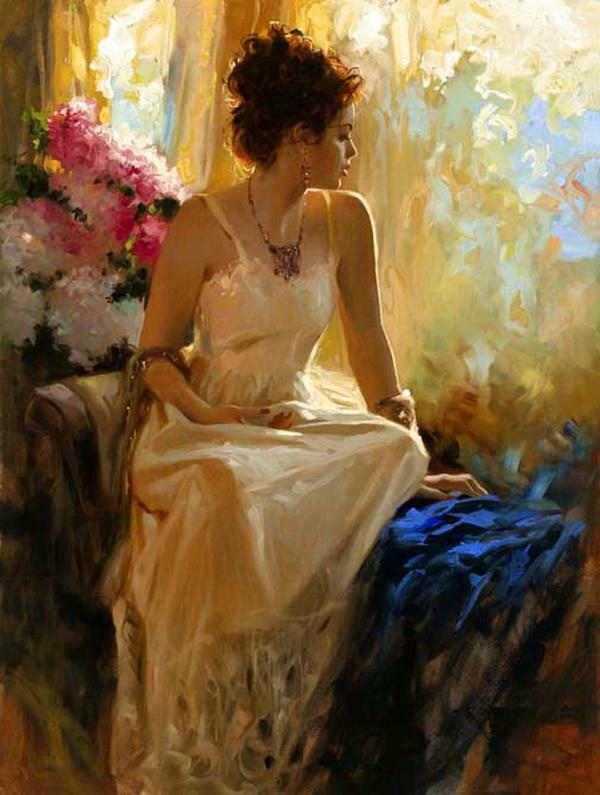 The luminescent beauty and lyrical quality of Richard S Johnson’s work is what captivates collectors today. 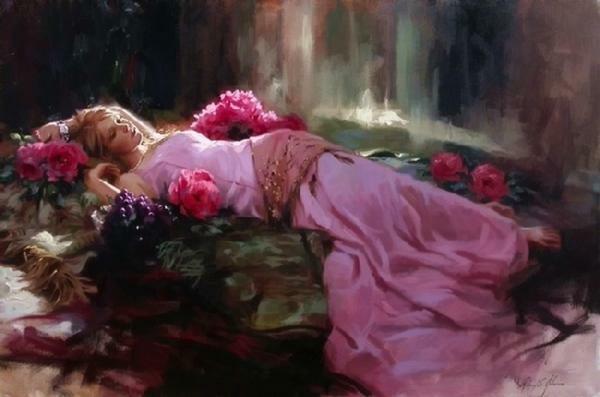 Old Masters technical virtuosity, pre-Raphael romanticism, and contemporary expressionism and abstraction all combine to create his unique works of touching depth and artistry. 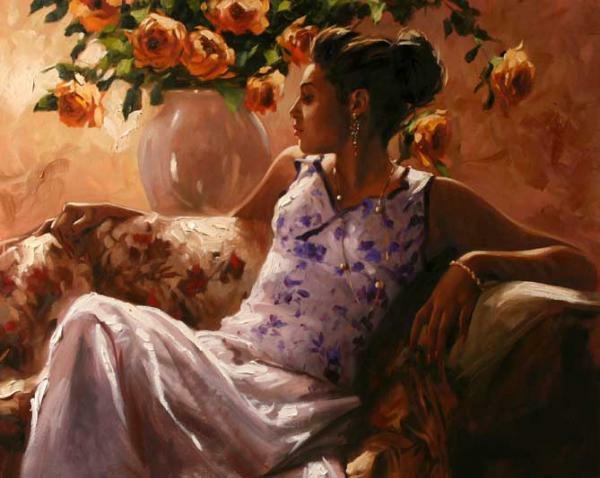 Born in Chicago to an artistic family, his earliest reminiscences are of pouring through Charles Dana Gibson, NC Wyeth, and John Singer Sargent books on rainy afternoons. 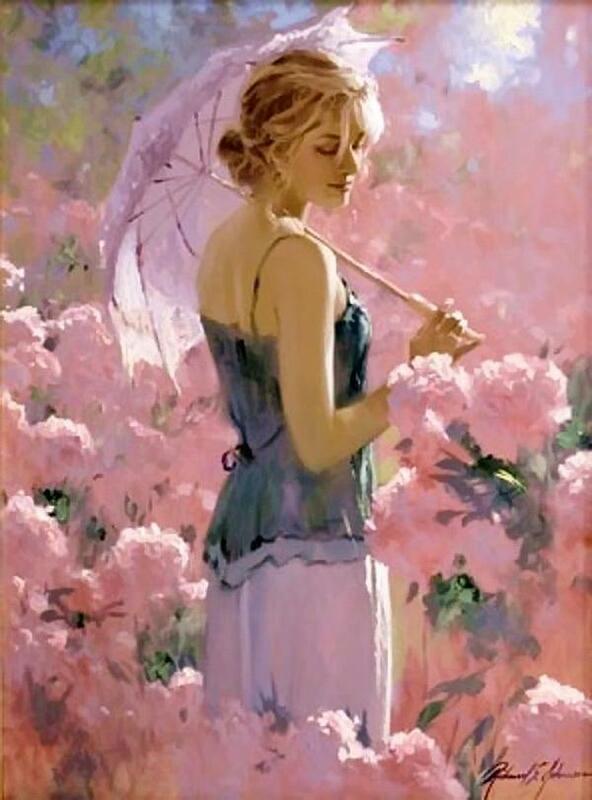 While still in grade school, he won a scholarship to the prestigious Art Institute of Chicago. 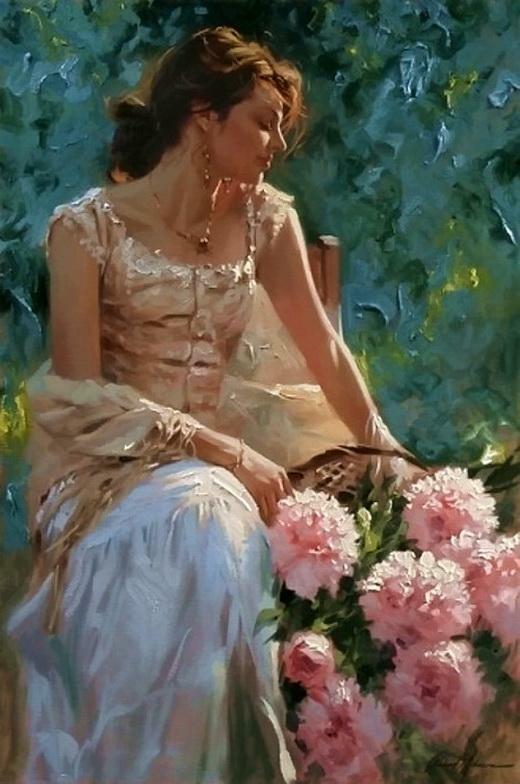 He later attended the American Academy of Art and upon graduation began a very successful career as an illustrator before becoming an award-winning fine artist.